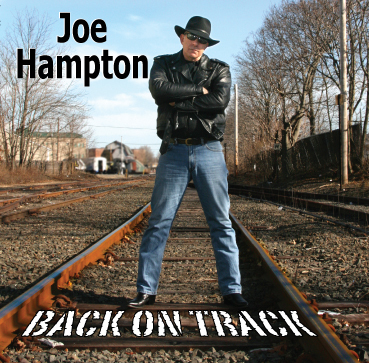 Joe Hampton has two classic rock groups - Joe Hampton & The Kingpins, and the Joe Hampton Trio. Joe also has an acoustic due with guitarist and singer Kevin Ryan. Catch Joe in 2019 at Lenz, Martha Clara, Jason's Vineyards, Long Island Spirits, Twin Stills Moonshine, Green Hill Kitchen, and Westhampton Beach Brewing Company .... and more to come! Joe Hampton started playing music in clubs in the late seventies. He played at famous New York clubs with his band Joe Hampton and the Mindless Members. They appeared at C.B.G.B. 's, Max's Kansas City and The Mudd Club. The Mindless Members also played other NYC clubs as well as many east end clubs. In 1980 Joe Hampton recorded the single titled Dogs In Traffic and he hosted one of the first cable music video shows in New Jersey called Cable Rock. Through the eighties Joe Hampton played with an off-the-wall group called The Phantoms of the Opera. They did some sensational shows at the Parrish Art Museum, The Hansom House and other spots in the Hamptons. The Phantoms recorded hundreds of songs written by Joe and Matt Wellen and also artist/musician Aage Bjerring, a.k.a. Howard Boring. In 1986 Joe Hampton's song Phone To Rome was included on the compilation album The Bands That Ate New York. In the late eighties, Joe published three books: two books of his poems and illustrations by Matt Wellen and a book of zany cartoons about a vacuum cleaner salesman called Vacuums. Around the same time, Joe played drums and sang in two other groups, Cold Comfort and The Jim Turner Band. Joe Hampton formed The Kingpins in 1992 and they've been playing ever since. Through smoky bars, fancy restaurants and biker runs, The Kingpins have had their fun. Joe has worked very hard to keep things rolling. In 1999 Joe released his first c.d. Angry Joe and The Relatives - Revenge For Tomorrow with longtime cohort Dominick Cantasano and drummer Gerry Giliberti. In 2001 Joe Hampton and The Kingpins put out the Guilty As Sin disc, and appeared on the Cablevision program Neighborhood Journal. In 2003 Joe Hampton and The Mindless Members - Not Afraid Of Anything was released. It contained new recordings of songs from Joe's old bands The Mindless Members and The Phantoms. The next Joe Hampton and The Kingpins c.d., Alligator Shoes, came out the following year in 2004. Rick Manwaring started to rock out on the guitar in high school. In the late 70's, he joined his first band Over Dose (OD). He played in all different bands around the Tri-State area including Radagast and Inside Out. He also played in the Straight Jackets with Glenn, who is now the Kingpins drummer. He still continues to carry out his life long journey with Joe Hampton and The Kingpins. Steve Sacher started playing bass in elementary school; and later attended SUNY Fredonia to study recording. He worked in major recording studios in NYC, where he was befriended by Jaco Pastorius with whom he toured and played. 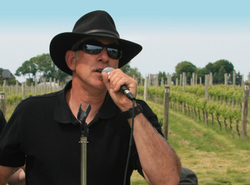 Steve has played in cover bands, and with many outstanding artists in New York City including Jorma Kaukonen. In the late '80's Steve moved to the North Fork where he played with many original bands. It was at this time that Steve met Rick Manwaring and played with him in Inside Out. He plays many different styles of bass and is very versatile. He has spent the past years composing original compositions. Steve really enjoys holding the bottom down for Joe Hampton and The Kingpins. Glenn Zazzarino is our drummer. He has played with many bands on the east end, and can keep up quite effortlessly with whatever the Kingpins choose to play. He also played with the Hendrix Tribute Band Blue Wild Angel, wThe Straightjackets, The Saynts, and The Reporters. Purchase the above CD at Amazon, CD Baby, and iTunes. For the upcoming gigs click the "Gigs" to the left in the menu bar!